Staining wooden flooring with skilled craftsmen Floor layer Ken Moersch of AHF All Hardwood Floor ltd 35 years expertise willing to do the work on your floors. Sanding or Refinishing wooded floors means choices to make! Ken Moersch works well with all finishes. Did you know that there are at least four categories of solvent based paint products and five water borne finishes formulas in 2 component mixes? AHF All hardwood floor refinishing -(Coquitlam) Vancouver BC 604 603 7317 offers ALL the different types of floor finish coatings application for your wood floor, SWEDISH ( acid curing or conversion varnish) , Water borne, low VOC water based polyurethane. Each type has its advantages, and understanding the differences between the vast deluge of 659 different hardwood floor coatings out of the bottle you need to be a Philadelphia lawyer to figure things out. I have been working on hardwood floors since 1979 ,Without any commitments let me provide you information to help you to make the best decision. Whichever you choose, it is important to note that the single most important factor in how long the finish will last is not what type of finish is used, but how much and what kind of traffic the floor will see. Whichever finish you choose, you can be confident that the products are of the highest quality and have years of successful use and wear behind them. Regardless of finish type, the most important factors in determining the life of your floor's finish are the degree of wear and tear it will see and how demandingly is maintained. Ken will only sell what we can later service and that means keeping good records too… This is especially important if you have custom mixed a stain color. In recent years chemical quantity per Volatile Organic Compounds levels have limited for category urethane and oil modified, oil stain. penetrating oils. Has been reduced to using quart(litre) size cans VOC+350 grams per litre of course the cost of disposing of the cans as they have no green recycle sticker now making the stain itself as expensive as the coating at around 100 dollars per gallon. Choice of stain are to use whole tones straight out of the can or take the whole tones and mix them to achieve other colors and highlights. This type of staining of wooden surface is called penetrating oil stained. The method involves staining the wood floors or stairs surface after the burnishing sanding by hand as uniformly as possible and evenly wiping off the excess with skill and agility. Swedish formulated Gold Seal wood floor stains have been the benchmark of excellence that no other professional wood floor stains has matched. The Gold Seal Stain provides a unique combination of durability, scratch and scuff resistance, clarity, and grain definition. The Gold Seal Swedish varnish System covering the stained wood surface also provides unsurpassed beauty by bringing out the natural colors of your In addition to our signature Swedish finishes, Glitsa offers quality Waterborne and oil-modified polyurethane finishes to our customers as well. Please check inside our website to view all of our wood floor finish systems and wood floor maintenance products. AHF- All Hardwood floor Ltd. Is a fully licensed and insured Professional wood flooring services contractor of 35 years of professional experience in and around - Vancouver, BC. Fine quality , often unique, always distinctive hardwood flooring by AHF- All Hardwood Floor Ltd. Versatile, dependable, reliable hardwood floor contractor supplying and installing quality hardwood floors and Stairs, professional dustless floor sanding, dust free refinishing and resurfacing, reliable customer service, for over ten years. Vancouver hardwood flooring home improvement services. Offering over thirty three years of experience and expertise with refinishing gymnasium floors and restoring all types of site finished hardwood flooring including prefinished engineered & solid tongue and groove hardwood flooring installation, Glitsa GOLD SEAL Swedish Conversion varnish and water borne floor coatings. All Hardwood floors Uses Clarke American 12 and belt 8 hardwood floor sanding machines with Diamond Jet 1200 and Clarke CAV26 Work Safe BC certified dust containment systems AHF choose American Clarke because of their reputation of being a real workhorse classic American made floor sanding tools. Established in 2003 and Incorporated April 2004 AHF All hardwood floor Ltd. Continues to exceed customer expectations with amazing results. Quality workmanship, exceptional value and diligent punctual Hardwood restoration services , Expert new hardwood stairs & flooring installation laying stain colors and Glitsa gold seal Swedish finish a specialty. 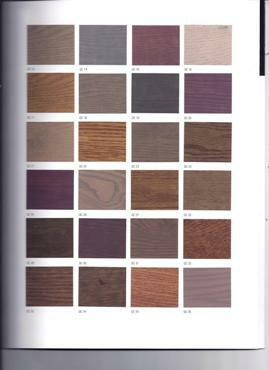 Access to the whole range of hardwood species like : American Black Walnut, American Cherry, Ash, Alder, Bamboo, Cork, White Oak, Red Oak, Beech, Cypress, Doussie, Teak, Hickory, Wenge, Maceranduba, Paraju, Brazilian Cherry(jatoba), Indonesian Cherry(Merbau),Purple heart ,Fir, Pine, Pacific Maple, Eastern Hard rock Maple, Silver Maple, Birch, Bamboo, Rosewood, Elm, Larch, Jarrah, Santos mahogany, Cork, Yew . 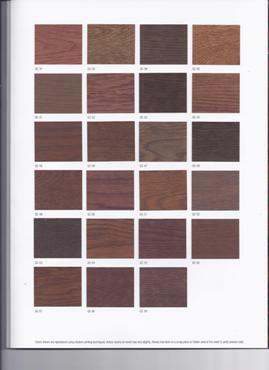 Stained Hardwood flooring and stairs fashions are always in style here in Vancouver BC. 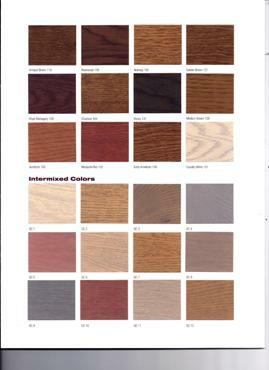 Stained Hardwood flooring comes naturally with a wide variety of color tones and can cover those grain patterns. pastel color especially can be opaque in nature as a result there is a reduction in grain clarity similar to water bourne finished red oak can look very cloudy merky opaque. can be a great choice on a maple second grade floor to help lighten the overall look. From the very light (white or blonde) to the extremely dark (brown and black)The lighter colored Hardwoods Ash, Maple, Beach, Red Oak / White Oak Fir can be stained with a solvent based penetrating stain. 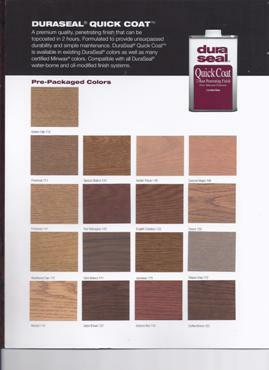 Some of the stain colors are: ebony, coffee, walnut, chestnut, brown, antique, spice, golden. nutmeg, fruitwood, white , whisper grey, taupe. Grain patterns will depend on the growth of the wood trees. Some trees spiral grow while other may turn partly over their whole life. Typical versatile north American grain patterns, End grain, Rift sawn. Quarter sawn, Plain sawn..